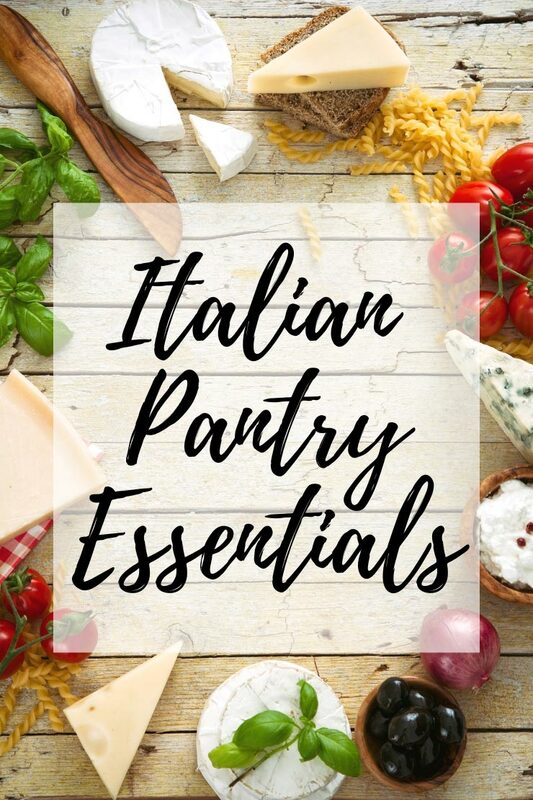 How to stock a pantry with my Italian Pantry Essentials. These are all the must-have ingredients I have in my kitchen and would truly be lost without them. The fundamentals to good cooking and beautiful tasting food is using quality ingredients so I’ve broken it down to what I use and why! 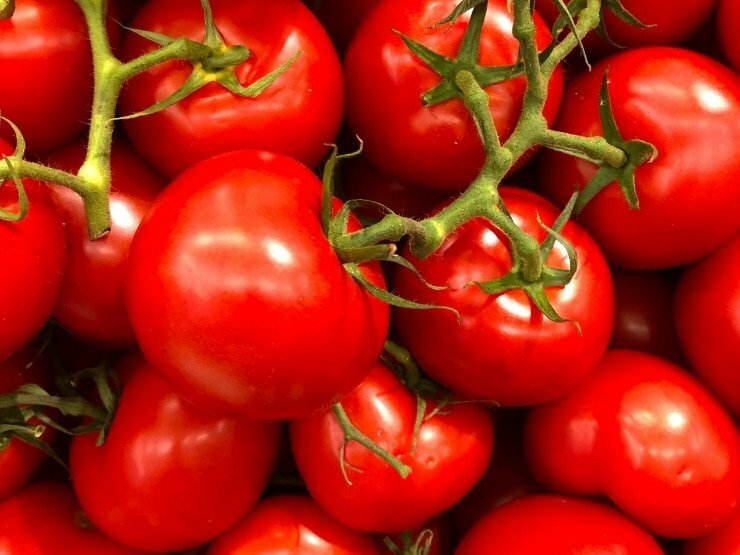 Canned Tomatoes: I am super picky about the canned tomatoes I use and for a good reason, they play a huggeee part in Italian cooking and especially in my recipes! The last thing I want is acidic, watery tasting tomatoes and believe me when I say that, bad tomatoes will ruin a dish! Sometimes I’ll only have 3 or 4 ingredients in my pasta dishes so it’s super important all the ingredients are high quality. Parmigiano Reggiano: Good quality Parmigiano Reggiano is totally essential in my kitchen and I always make sure I have enough stocked up. By topping pasta dishes or adding the rinds to soups and stews you can add so much flavour and it’s totally unique. Do not, I repeat do not buy the pre-grated stuff because it’s nothing like the real thing (and it breaks my heart). Flour: When it comes to flour I ALWAYS have type 00 in my pantry and minimum 2 bags…why? Because it makes the most amazing pizza bases! I’m pretty addicted to pizza and can honestly say that this is the perfect flour for making the best pizzas at home, I also use the same flour for making focaccia. After living it Italy I discovered they also use type 0 flour for pizza bases but it’s harder to come by and 00 does that job. Polenta: When it comes to polenta you can get two types fast cook polenta that’s ready in 5 minutes or traditional polenta that takes around 30 minutes to cook. I absolutely love serving polenta with stews and sauces dishes such as meatballs. You can also let it set and use it to build lasagna type dishes, gnocchi or top bakes with it. Top Tip: I prefer traditional polenta the texture and taste is 100x better so it’s worth the extra time and effort! Rice: Without a doubt, there is always rice in my cupboards because risotto is such an easy weekday dinner to whip up when you’re hungry. It takes around 20 minutes to make and can be made with anything you like BUT the most important thing to remember is to use arborio rice. It’s extra creamy and gives the perfect texture to risottos. Semolina: This is something I use for lining baking trays when cooking homemade pizzas. It keeps the base nice and crispy and stops the base sticking so I always have it on hand. Olive Oil: It’s safe to say I could not live without a good olive oil not only is it beautiful to cook with it’s GOOD FOR YOU. I use it for everything but you have to bare in mind that you should have a really good quality one for salads, topping dishes and dipping crusty bread into then have an everyday oil for sauteing and cooking. Balsamic Vinegar: A good balsamic vinegar is a must and a little goes a long way! I add it to tomato-based sauces, stews or soups and there’s an instant flavour punch. The bottle should be small (like a perfume bottle), have Aceto Balsamico di Modena written on it and the texture should be thick and not watery and thin. Dried Oregano: I use oregano in a ton of sauces, choosing a good one makes such a difference. Buy a bunch of dried oregano that you can often find in Italian specialty stores rather than in jars but if you can’t find that go for organic. 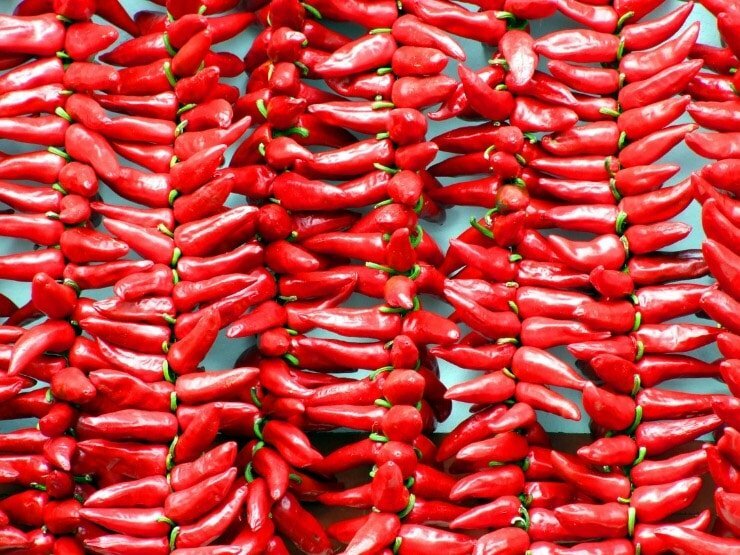 Chili Flakes: (red pepper flakes): Chili flakes are something I use quite a lot to spice up sauces and add some heat. I also loved the jarred chili pastes you can buy, they taste incredible! Fennel Seeds: I think this is my favourite spice ever I just LOVE the flavour and it’s often found in a lot of seasonings for sausages and pork roasts. I use it in pasta sauces too, it adds a really special flavour! It goes without saying that dried pasta is a pantry essential for most people but especially if you love to cook Italian food. I have tons of dried pasta stocked up so when I need a quick dinner on the table it’s no problem! My usual stock: I always have penne and rigatoni (ziti) on hand because they’re super easy to find in any supermarket and can be tossed into fresh sauces or made into a delicious pasta bake. Linguine and spaghetti are my go to’s for long dried pasta shapes and I always have bucatini for special occasions. Other shapes I love to have are fusilli, fusilli bucati lunghi (long hollow fusilli) and farfalle. I usually prefer to use fresh tagliatelle and pappardelle but I will buy dried on occasion.